Combine all ingredients in a blender; blend until smooth. Serve in tall glasses or on-the-go drink containers. 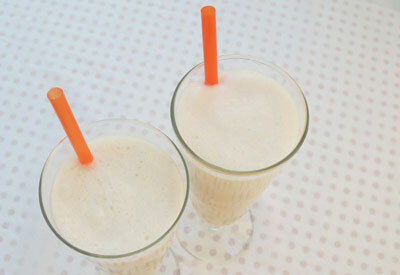 Use frozen banana slices to chill and thicken your smoothie. Just peel and slice each banana and freeze in a separate zip-top plastic bag. This is a great way to use ripe bananas and have them ready for your next smoothie.